The analysis of log-linear oscillations in the gold price dynamics for 2003–2010 conducted in 2010 by Askar Akayev's research group has allowed them to forecast a collapse in gold prices in May–July 2011. 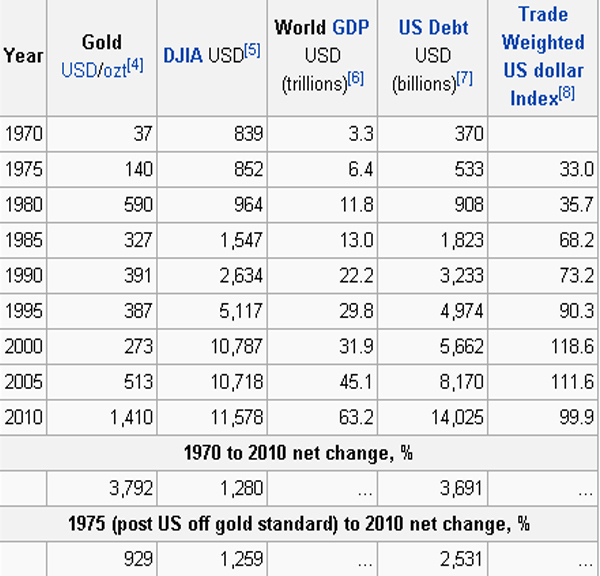 As of 18 July 2011, this collapse had not yet occurred, with gold at record prices of over $1600 per ounce. On 22 August 2011 gold reached a new record high of $1908.00 at the London Gold Fixing. The predicted collapse actually took place in August–September 2011.Yet, on 19 June 2012, gold zoomed further to INR 30,750 per 10 gm in the New Delhi, breaking its previous record of all time high. On 13 June 2012, gold prices breached INR 30,000 (Rupee) mark due to global financial uncertainty and touched the record high of INR 30,420 per 10 gms. However, further collapse of gold prices was observed in April 2013.